I am thrilled to be interviewing Celeste Goodson, ACE, MES on the blog today! 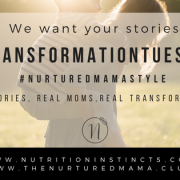 Diastasis Recti has been the conversation in The Nurtured Mama Community lately. It seems that many of us don’t know much about it and have a hard time finding supportive resources. I’ve heard from women who were diagnosed but received no treatment or referrals to other providers. Many women have suffered for months and years without knowing what was happening to their bodies! 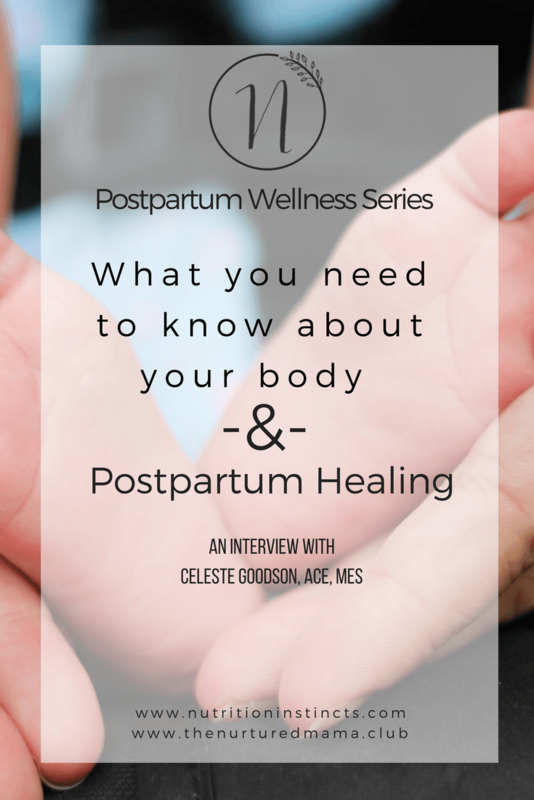 Celeste shares my quest in “Changing the conversation about postpartum healing.” When I stumbled upon her site, I knew I had to get the word out about what she does and how she is supporting women in their postpartum healing (and no, we don’t mean “getting your body back” with harmful exercise routines and weight loss behaviors). I hope you find this helpful! Actually, I know every mama will ;-). Welcome Celeste! Please introduce yourself! 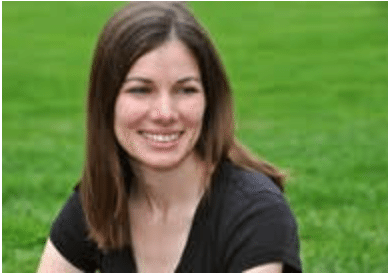 I am a mom of 3, runner, ACE Medical Exercise Specialist and passionate about helping women keep and regain core strength, stability and function throughout the childbearing years. I’ve been a personal trainer for 15+ years and developed the FITsplint and ReCORE program after seeing a need for women to recondition their core properly and safely before returning to typical post-partum exercise. 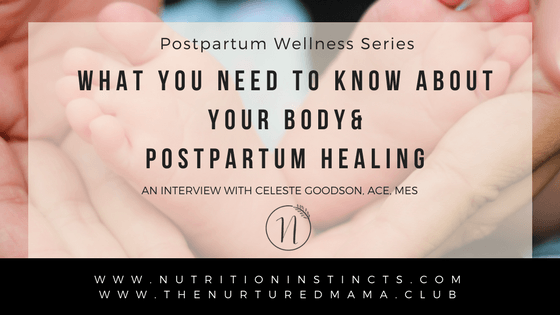 Can you tell us about the natural postpartum healing process as it pertains to what you do? 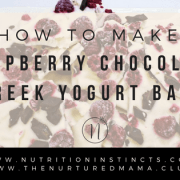 When things go well, what should be happening as our bodies heal from pregnancy and childbirth? 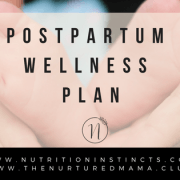 The body wants to heal naturally postpartum, but our habits, hormones and doing the wrong exercises too soon can make it difficult. There are certain stresses that the body typically goes through during pregnancy. The abdominal muscles stretch out considerably, connective tissue weakens and stretches as well. Pressure is put on the pelvic floor the last trimester. The hormone relaxin affects the ligaments in the body, making them more elastic. 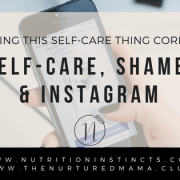 The inner core system (pelvic floor, transverse abdominal muscles, multifidus and diaphragm) becomes uncoordinated and doesn’t contract/relax well together. This causes other muscles to take over when a person needs their core. This also causes intra abdominal pressure to be stored in the pelvic cavity during core exercises. The great news is, the un-coordination can improve by retraining the body during and after pregnancy and then progressively strengthening the inner core system. Women can re-learn how to keep intra abdominal pressure in the abdominal cavity when doing core exercises and lifting weights, helping to prevent incontinence and pelvic floor problems down the line. Click & Tweet! Wow! That explains why doing exercising incorrectly or too soon could make matters worse. I know that one condition you talk about often is Diastasis Recti. What issues, such as Diastasis Recti, can arise during the postpartum period and how can women prevent them from occurring? How common are these conditions? Yes! Diastasis Recti is probably the most recognized core weakness, yet not often addressed in postpartum checkups. There are 3 other weakness issues I mentioned above, but DR is the one that is easily noticeable. Diastasis Recti is when the linea alba (connective tissue between outer abs) stretches and thins. Not all women get DR (3 fingerwidths wide or more). It’s estimated that about 60% of women get DR and the rest get some degree of stretching or thinning (1-2 fingerwidths) It sometimes goes back on its own if it is small, but again habits and doing the wrong exercises can make it worse. If it does go back on its own, women are still dealing with the other 3 issues and will benefit from reconditioning the core first before starting typical gym exercises. Can you explain the self-test women can do to see if they have Diastasis Recti? Yes! Here is a link women can watch to learn how to self check for Diastasis. Are there any methods to test/screen for other conditions? I use a test to help women gauge their inner core strength. I am currently working to get a video up about this for the public. Right now I just use it with my clients. I also use a Single Leg Test so women can gauge their stability as well. If women are dealing with pain or serious conditions (symphysis public dysfuntion or prolapse) they should see a women’s health physical therapist and they will have ways to assess/treat their conditions. A colleague of mine was diagnosed with Diastasis Recti and her physician had little to no knowledge of how to treat it. She had a difficult time finding help. What options do women have for treatment? Yes, unfortunately, there is not a lot of research out there on Diastasis Recti and when studies are done, most are not keeping up with the research. You want to find someone that is used to helping women with D.R, they know how to progress the exercises instead of just doing a few basic ones over and over and not promise that D.R. will close all the way. There are variables to healing the tissue, however most are able to get D.R. functional again because muscle typically responds extremely well. Diane Lee and her colleagues have done some great research on this. There are ways to assess if D.R. isn’t functioning well after strengthening/splinting and then they would be a good candidate for surgery. Is there anything women should know about exercise before, during and after pregnancy that can protect them from things like diastasis recti or other issues? Yes! During pregnancy, it is important to keep your core strength up with proper core stability exercises. This can be done by doing safe, transverse abdominal type exercises and other core exercises (wide squats, deep squats..anything that works the glutes, back and hips). Click & Tweet! Just avoid movements like crunches, sit-ups, back extensions and forceful twisting (with weights) to reduce stress on the linea alba. There are other factors that may contribute to getting D.R., but by keeping the core strong, the core will be more stable and muscles and tissue will be able to respond better and faster post-pregnancy. Women will also deal with less pain and discomfort throughout the pregnancy. Celeste, this has be so informative! Thank you so much for taking the time to share your knowledge and expertise! Ok, that’s it mamas! 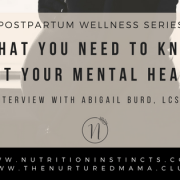 Have a request for our postpartum wellness series? Send me your thoughts! 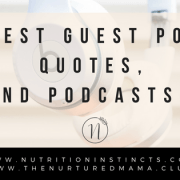 Latest Guest Posts, Quotes & Podcasts!